SOURCE– Red Sox left fielder Andrew Benintendi didn’t take long to collect the first two hits of his major league career, and he pulled it off with his family in attendance. 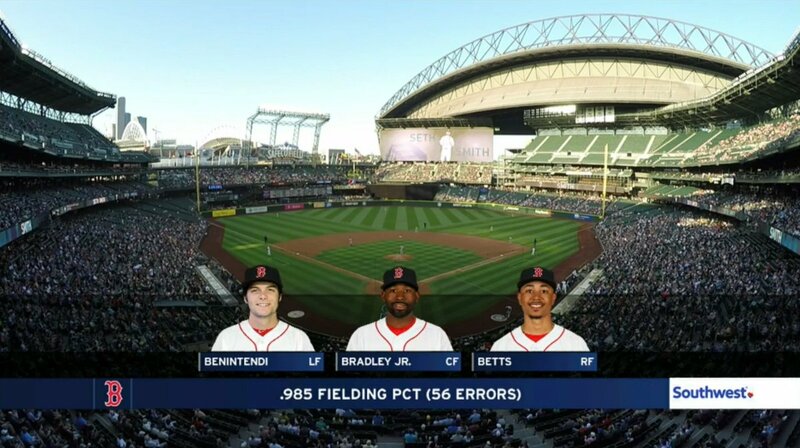 In the top of the third inning, Benintendi sliced a knee-high breaking ball from the Seattle Mariners’ Hisashi Iwakuma into left field for his first career base hit. Later, in the top of the eighth inning, Benintendi turned on an Iwakuma pitch on the inner half of the plate for a line-drive single to right field, shattering his bat in the process. You can watch his second hit at MLB.com. There it is ladies and gentlemen. The future is now for the Boston Red Sox and that future is Andrew Benintendi. It is a fact, Benintendi hits 1000 when he starts a game. Hell, he is only 55 hits away from beating Joe DiMaggio’s 56-game hitting streak! I don’t know about you but I don’t see the Sox not winning at least the AL Pennant for the foreseeable future.